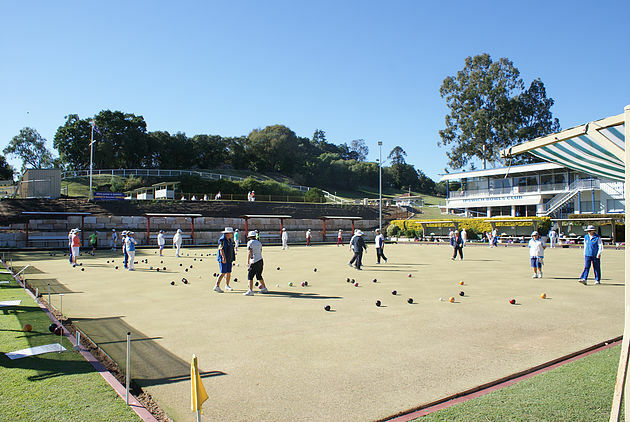 Queens Park is a Qld Heritage Listed property and the Bowls Club contained within the park is the first operating bowls club in Qld. 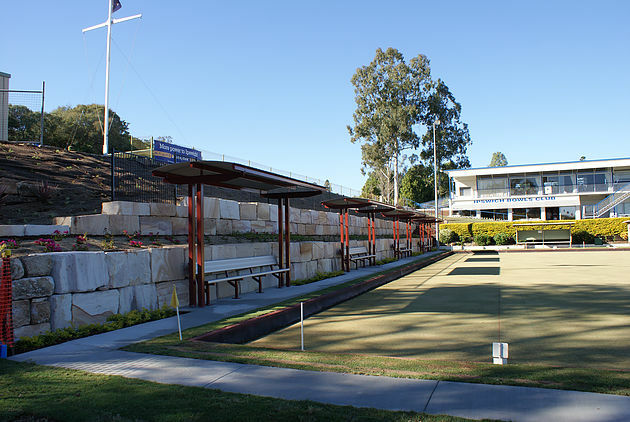 Council undertook a condition assessment of failing retaining walls and embankments within Queens Park Bowls Club as they were not only becoming a safety issue to the patrons of the club but also affecting the long term viability of the clubs operations. The embankments in question sit on the eastern edge of each bowling green. Council engaged geotechnical and structural engineers to come up with solution but the concepts were rejected by DEHP as not in keeping with the heritage and aesthetic values of the park. RDS were engaged under a D&C contract to provide an acceptable solution to the issue. The site posed many restrictions and complications due to it being heritage listed. Heritage listing created issues around access due to narrow pathways with large overhanging vegetation which were heritage listed and therefore required consultation and liaising with the DEHP. RDS were able to achieve completion of a structurally sound retaining wall and embankment stabilisation whilst the Bowls Club was able to remain fully functional and operational. The end result was an aesthetically pleasing retaining wall to the eastern side of the original bowling green which provided a new feature to the operation of the Bowls Club and the visual amenity of the park. The bowling green was able to be brought back into full operation in a north/south and east/west direction with players no longer being concerned about the safety of a collapsing wall/embankment.